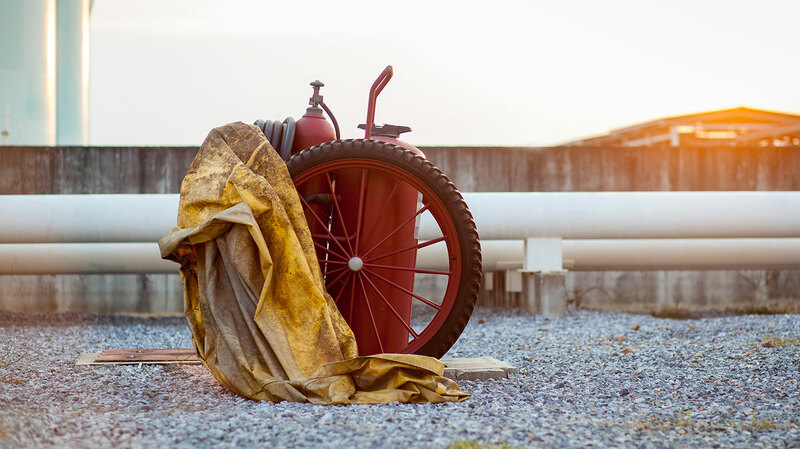 Global Fire Solution chemical equipment and products provide solutions to complex marine challenges such as: nitrites concentration in water samples; conductivity value in water samples; oil spills; fuel sampling; and more. Alkalinity of Water Samples. WT ALKA TEST KIT Boiler Water Treatment. Effectively counts the calcium carbonate salt content in boiler water systems so that appropriate treatment is applied. Cooling Water Treatment. Effectively counts the chloride ions concentration in boiler water systems and in cooling water engine systems, so as to check for the quality of the water. Nitrites concentration in water samples. NITRITE TEST KIT Cooling Water Treatment Effectively counts the nitrite ions concentration on a periodic basis so as to ensure maximum conditions in cooling water engine system. Phosphate ions count in water samples. WT PHOSP TEST KIT Boiler Water Treatment. Effective counts the concentration of phosphate ions in boiler water samples. WT SULFI TEST KIT Boiler Water Treatment. Detection of the Oxygen scavenger concentration in water samples for all boiler water systems under treatment. Hydrogen ions concentration in water samples. pH MEASURING TAPE Boiler Water. Fresh Water. Measuring of the pH value of fresh water samples in all water systems so as to evaluate the acid/base condition of the water. Conductivity value in water samples. CONDUCTIVITY TEST KIT Boiler Water Treatment. Measureing the conductivity value of boiler water samples. Water in oil samples. MARICHEM WIO TEST KIT Engine Oils, Gear Oils, Hydraulic Oils, etc. Effectively tests the content of water contaminant in oils. Separation of blending/mixing components in various tanks. COMPATIBILITY/STABILITY TEST KIT Determination of stability of residuel fuels (as received) and compatibility of different fuels (remainder of stock). Avoiding separation of blending/mixing components in various tanks and centrifuge. Avoiding blocked (fuel treatment) systems. Avoiding power failure and delay. Oil spills. OIL CLEAN KIT Oil Spills. Effectively cleans oil spills on board, at sea and at shore with the equipment as specified by OPA 90 regulation. OIL BOOMS Oil Spills. Effectively cleans oil spills on-board, at sea and at shore. Safety of the people on board the vessel during cleaning applications CHEMICAL PROTECTIVE EQUIPMENT During cargo holds cleaning and tank cleaning. Effective cleaning taking all the precautionary measures for the people performing cargo holds cleaning and tank cleaning. Fuel Sampling. BUNKER SAMPLER Ship's fuel receiving pipe line. Ensures safe fuel sampling during bunkering. DOSING SYSTEM ELECTRONIC To use with treatment products in order to accomplish controlled flow. Efficient dosing of the prescribed quantity of treatment chemicals where necessary, at a controlled flow rate. TELESCOPIC POLE, WATER JET GUN, HP CLEANING MACHINES Cargo Hold Cleaning, Tank Cleaning, General Cleaning purposes, Descaling/Derusting. Chemicals' cargo hold applicators, Suface Water cleaning under high pressure, Water-sandblasting. B.W.T. POWDER Low pressure/auxiliary/exhaust gas system boilers. Protects against water hardness and sludge build up. Removes dissolved oxygen and is used as an antifoaming agent. Corrosion in boilers. ALKALINITY CONTROL For all low pressure boilers. Neutralizes acidic conditions. Scale deposit formation. PHOSPATE Prevents salt corrosion through water hardness control. MARZINE PLUS Binds dissolved oxygen. Reduces corrosion. Corrosion in feed water and condensate systems. MARICHEM CCI Neutralizes acidic conditions. Provides alkalinity stabilization. Reducing corrosion. Sludge & oil contamination BOILER SLUDGE CONDITIONER Prevents the formation of adhesive compounds. Assists in sludge dispersion until removal. D.C.W.T. POWDER Diesel engine and general cooling systems. Prevents corrosion. Controls the deposit formation and sludge build up. CLOG-CONTROL Sea water cooling systems. Antifouling treatment for the prevention of marine growth and the termination of bacteria associated with sea water. Scale foaming and carry over. EVAPORATOR TREATMENT Fresh Water Generators. Sea Water Evaporators. Eliminates foam and carry-over elimination. Protects against scale forming salts on heat transfer surfaces. Sludge build - up. F.O.T Fuel Tanks. Combustion Spaces - Diesel, Steam Boilers. Diesel, Heavy Metals Elimination. Disperses deposits, sludge and dissolves water emulsions to a homogeneous state for combustion. Incomplete combustion. F.O.T. 10 Fuel quality enrichment while dispersing sludge into a combustible state. Sulfur - Vanadium slag deposits. F.O.T. C-100 Treatment and reduction of any corrosive heavy metal fuel oil ashes, through improved combustion. Reduces smoke. Lower lubricity, caused from the use of low Sulphur fuel oils, can cause the fuel injection pump of the engine to fail and can increase wear of fuel pumps, valves and injector nozzles over an extended period of use. F.O.T. - LS Low Sulphur Fuel Oils Provides superior lubricity properties to the Marine Fuel Oils. Prevents wear on contacting metal surfaces and their fail. Protects fuels systems against corrosion and will not separate in the fuel tank. Microorganisms contaminating fuel storage tanks and systems. FUEL BIOCONTROL Additive to fuel storage tanks and fuel lines where microbes can cause contamination. Helps in the extermination of microorganisms and bacteria from the fuel oil. Water in oil emulsions. 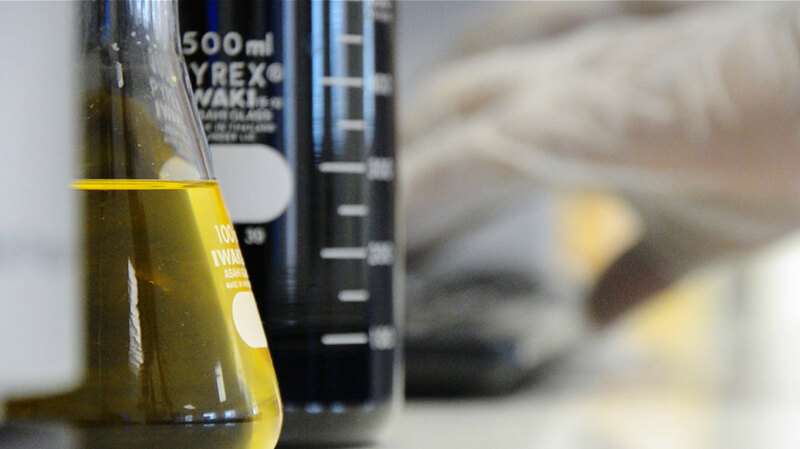 FUELBREAK Breaks the Water in Oil Emulsion and separates most of the water in settling tank and in the centrifuge. Prevents sludge formation in the tubes, filters blockage and facilitates the removal of metallic elements. 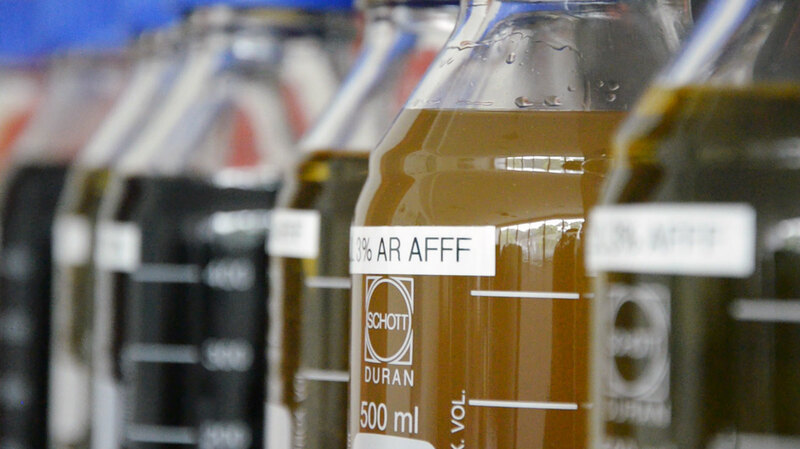 Separates the quantities of water in marine fuel by breaking the water in oil emulsions. SOOT CLEANER LIQUID Exhaust System. Removal of soot and fire scale deposits. Prevents acid scale formation, eliminates corrosion and decreases fuel consumption. 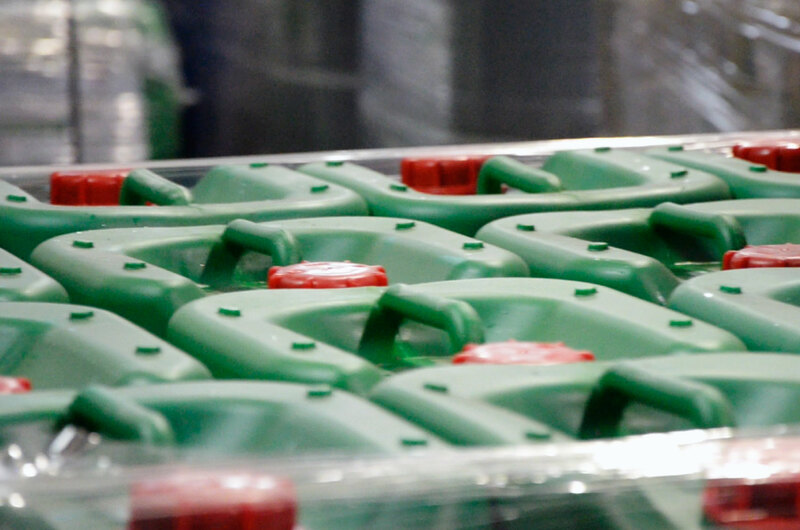 TANK CLEANER-S Fuel Oil Tanks. Ballast Tanks. Emulsification of petroleum products residues. Heavy contamination of non-soluble organic compounds. MARICHEM T.T.C. High quality heavy duty degreasing of petroleum products, fats, oils, minerals and fuel sludge. Vegetable and animal oil ALCACLEAN H.D. Cargo Tanks. Removal of vegetable, animal, fish oil and fats. Elimination of bad odors. Removal of pet coke. Bauxite deposits. BAUXITE REMOVER Cargo Holds/ Storage Tanks. Removal of bauxite deposits and stains. Chloride and Sulfide deposits. BUFFERSOL Cargo Tanks and Metal Articles. Removal of Lead, Aromatic Hydrocarbon, Chloride and Sulfide deposits from zinc-silicate coated tank surfaces. Helps neutralize acidic and alkaline compounds. Cement Deposits. CEMENT REMOVER Dry Cargo Holds and Decks. Removal of cement deposits and/or dry cement stains. Lime. LIME CLEANER Cargo holds. Removal of lime deposits. Pet coke and coal deposits. MARICHEM PCS Cargo Holds/ Storage Tanks. Removal of pet coke, coal and mineral deposits. ELECTROCLEAN SUPER FAST Electrical equipment and parts. Cleaning and degreasing of electrical equipment at the desired evaporation rate. OIL & GREASE REMOVER General on-board use. Removal of aromatic mineral oils, grease, fats, soot, asphalt and light carbon stains. DESCALER POWDER Biler, steam generator, evaporator. Removal of rust and heavy deposits of water scale. Petroleum sludge deposits. PURIFIER DISC CLEANER Purifier, separator discs. Removal of carbonaceous varnish deposits where lube and fuel accumulates. AIR COOLER CLEANER L.T. Diesel engine air side coolers, turbo-chargers, intercooler filters. Removal of oils, greases, cabon deposits and soot. MARICHEM C.R. - LT Engine pistons, rings, valves, parts exposed to combustion. Removal of carbon and resins. RUST SHIELD -PHOS Bulkheads, deck railings and other structural surfaces. Removal and control or rust. Weld slag, grinding dust, annealing scale. PASSIVATION LIQUID Tanks, pickling installations, stainless steel. Removal of weld slag, grinding dust, annealing scale that prevents the passivation of stainless steel. MARICLEAN-POL Engine rooms, decks, cargo holds and as a tank cleaner. Cleaning and elimination of grease, oil, sludge and grime. Applicable to plastic, rubber and epoxy compounds. ALCACTIVE LIQUID Deck, cargo holds and general use. Heavy duty, general -purpose cleaners for the removal of oils, fats and acids. Odour elimination. Mud, Heavy Inorganic Deposits. MUD CONDITIONER Ballast Tanks. Mud dispersion allowing removal through deballasting. Marine ecological imbalance occuring with the introduction of foreign species of aquatic life in the ballast tank. B.W.CH.A. Ballast Tanks. Chlorination of Ballast Water. Oil Spill dispersion with environmental concern. MARICHEM OIL SPILL DISPERSANT At sea or on-board oil pollution where a 3rd generation type II and III quality protection is needed. Helps emulsification of oil spills into an easily biodegradable state. Oil spills. OIL SPILL EMULSIFIER At sea and onboard oil pollution Cleaning of oil spills. Efficient dispersant of mineral oils, crude oils, fuel oils, lubricants, etc. Sinks, toilets, showers, Sewage Tanks, Sewage lines etc. Removal-cleaning of sewage system from oils, fats and other organic compounds. Oil Filter. Efficient removal/cleaning of clogged oil and fuel filters. Dirt, grease, mineral oils, fats and wax accumulates. LIQUID SOAP General use Cleaning and elimination of animal, vegetable oils, fats, waxes, bad odours. Appropriate for Gas-Freeing. Dirt, grease, fuel, oil HAND CLEANER Hand Cleaning. Powerful and safe cleaning paste for engineers. SOLBREAK HFP Cargo Tanks, Deep Tanks, Bilges, Engine Rooms, etc. Removes oil, grease, light carbon deposits, petroleum accumulates, etc. Breaks the waste water emulsions into two phases, an organic and an aqueous. To improve the penetration of water-based cleaners. FOAM PLUS Additive to all water based cleaners for animal & vegetable oil removal, petcoke cleaning etc. Prolongs and reinforces the action of water based tank cleaners and degreasers. Carbonaceous deposits. GARAGE CLANER Ships garage area, roof walls and hull side. Cleans/removes deposits resulting from car exhausts. Rust and water scale build up. MAIN ENGINE COOLING SYSTEM CLEANER Main engine cooling systems and pipeline collection systems. Removal of rust accumulation and of heavy deposits created from water scale. Corrosion. PENETRIN PRAY Machinery parts and tools Penetrates and frees rusted and corroded parts. Corrosion. PLASTIC COATING Maintenance Coating. Semi-hard water based coating. STRONG PLASTIC RESISTANT Ballast Tanks, Fresh Water Tanks. Hard, two component, solvent based coating. MARICOTE ALOX Ballast Tanks Soft solven based coating. Protection against corrosive cargoes. PRELOAD 300 Cargo Tanks. Forms a water soluble cargo hold barrier that can be removed very easily, even with the use of cold sea water.